Having had experience distributing B2B blog posts, I have no doubt that the LinkedIn platform is one of the strongest marketplaces for both B2B marketers and bloggers. According to Hubspot, in the past two years, content consumption on LinkedIn has increased by 21%. The key to success on LinkedIn are LinkedIn Groups. There are a variety of LinkedIn groups available for different topics that might fit your field. As a matter of fact, one of my most successful blog posts pulled off 10,000+ sessions, 150+ newsletter subscribers, and 180+ whitepaper downloads. I’m going to tell you the 3 main reasons all B2B bloggers need to tap into LinkedIn groups as a vital funnel to distribute their blogs. You might find this a subtle benefit, but everytime you share your post on a LinkedIn group, your post will obtain a social share. The more shares you have on your blog post, the more likely people are to share, since nobody will be tempted to share a post no one else has. If you’re looking to gain real traction, building social shares is a great starting point. As a blogger, there's nothing more important than having big connections, since the more connections we have, the more likely our content is to be spread far and wide. By connections, I don’t mean random connections, but engaged connections that underpin your blog’s success. Thanks to the LinkedIn platform, we can easily connect with anybody on this social channel, and sharing your blog on LinkedIn groups plays a big role in just that. In fact, I’ve acquired 200+ followers from the ground up simply by posting my blogs to several LinkedIn groups. It will help your blog distribution down the line. 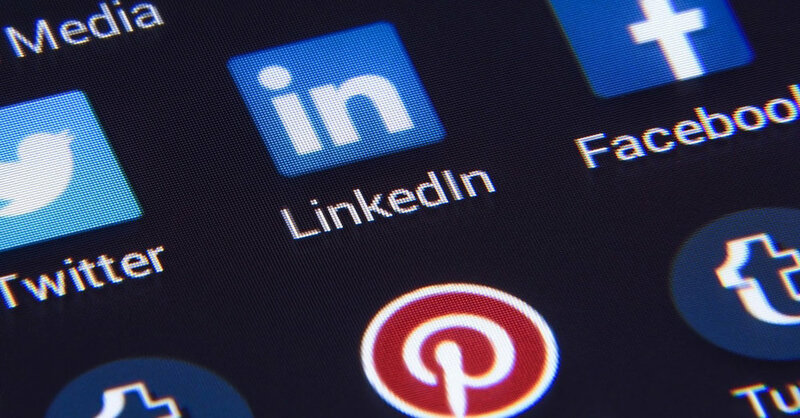 For instance, every time you share your content through a Linkedin Article (Long-Form Post), your connections get a notification -which needless to say, is a huge asset. You may also be interested in reading Nurturing Your Users to Grow a Blog Community. You might have goal actions for your audience in mind, such as sending an inquiry, subscribing to your newsletter, downloading your latest white paper, and so on. The LinkedIn platform has one of the highest conversion rates for the B2B market compared to other social media platforms. As I mentioned earlier, one of my most successful blog posts generated 150+ newsletter subscribers and 180+ whitepaper downloads. The good thing about LinkedIn Groups is regardless of how many connections you have in your network, you can tap into the potential of LinkedIn - it will help amplify your audience. Having experimented in different sized LinkedIn groups, what comes to my attention is that you need to post on Linkedin groups that have 100,000 members at least. Otherwise, your content won’t stand a chance to be shared as much as you’re hoping for. In my case, the results ended up getting 0 - 5 likes and 10 - 30 sessions, which was well below my expectations and could be considered a waste of my time. You’ll still get additional social shares showcased on the blog page - so not all is lost. According to research by the Huffington Post and Hubspot, Tuesday is the optimum day to post your blog and I tend to agree with them. Let’s take a close look at it. As you can see, the first bump started on Wednesday. This means that we should post our blogs on Tuesday to ride that first bump. In addition, I would say that around noon (11 am - 2 pm) is the optimum time, while other blog posts have mentioned that work hours work fine. The last tip is not to sell your services to whomever leaves a comment on your post because they’re usually not ready to buy yet. All you could offer at this point is some advice for free. As a matter of fact, I offered our marketing services to people who left positive comments on my post that earned all that buzz, but out of the total 454 likes and 94 positive comments, none of them were interested at all. In this case, I would mention casually, "I'd love to help you if you are facing any digital marketing roadblocks for free.” I did get some positive responses and started to build a strong connection with them. While they didn't end up being our client, one of them voluntarily offered to write a recommendation for my Linkedin profile. She’s continued to follow my posts and that’s a great asset. A few people who left comments directly, came to me and asked for a little help with their digital marketing related concerns.So, there’s proof that people will remember you and keep you in mind when they are in need of your help. Sharing your blog on LinkedIn Groups requires a little extra effort, but it has potential to nudge you into the big time results. There’s no doubt that the LinkedIn platform is a great place to share your blog and expand your professional connections, especially for B2B marketers and bloggers. If you haven’t tapped into this gem, you definitely should take advantage of it and take your blog distribution to the next level. Akihiro Nomura is the Digital Marketing Specialist at My Loud Speaker Marketing who enjoys Excel formulas just as much as he loves beer. He specializes in all realms of Digital Marketing, spanning Search Engine Optimization (SEO), Conversion Rate Optimization, Pay Per Click Advertising, Content Creation & Distribution, Web Analysis and Marketing Automation. Akihiro believes in the importance of educating clients to create strong and effective partnerships. He has also participated in speaking engagements that educate and empower others about SEO Basics. The author's views are entirely his or her own and may not always reflect the views of Blog Hands.